FULTON COUNTY, Ga. – A Roswell police detective is serving a 30-day suspension after investigators said he showed up to a firearms training class with alcohol in his system, and records show the stresses of his job might have led to the incident. Channel 2’s Mike Petchenik obtained Detective Zackery Kowalske’s personnel file and the internal affairs investigation into what happened. On May 31, records show Kowalske showed up late for a firearms class at the Georgia Public Safety Training Center in Forsyth, Ga. The instructor took a blood alcohol reading at the facility and records show it registered at 0.04, which is below the legal limit to drive. “Kowalske would have had to been at a 0.16 or 0.18 with the normal elimination rate when he quit drinking and went to bed,” the instructor noted in the internal affairs report. Kowalske told investigators that he normally drinks himself to sleep because he sees “ghosts” as the result of post-traumatic stress disorder from his role as a crime scene investigator. Kowalske also said that he was having trouble sleeping due to a shooting involving a car chase and being assigned to investigate a double homicide behind a grocery store, according to the report. The report also said the veteran detective sees the image of a 4-year-old boy who was hanged by his father in 2013. 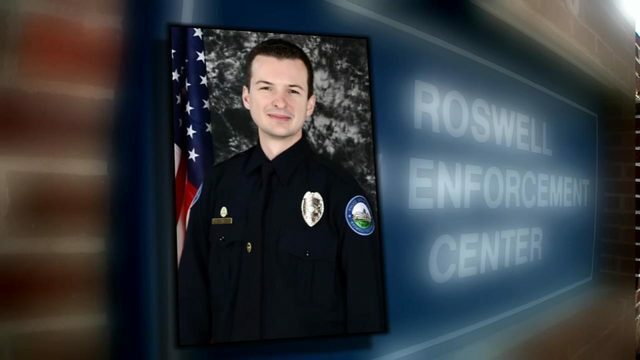 In a memo obtained by Petchenik, Roswell Police Chief Rusty Grant ultimately decided to suspend Kowalske for 30 days for violating department policies, including reporting unfit for duty and transporting alcohol in his city vehicle. Grant ruled Kowalske will have to undergo a “Fitness for Duty Evaluation,” won’t be able to attend training at GPSTC for a year and will be transferred to a different division. Northside Hospital psychotherapist Nikeisha Whatley-Leon told Petchenik that PTSD is not uncommon in first responders, especially police. Whatley-Leon said one coping mechanism is to drink. “We know that talk therapy helps… putting them in an environment where they feel safe,” she said. She told Petchenik departments need to do a better job of monitoring the mental health of their officers. Grant declined to comment because the case was a personnel issue. Petchenik reached out to Kowalske via email, but did not hear back.